Any plans for a “hanami” anytime soon? Maybe the first question should be, do you have any cherry blossom trees in your town? If so, how about taking a walk to your local park where these trees are bursting with flowers right about now. A “hanami” is the Japanese practice of picnicking under a blooming cherry blossom tree. Ideally, you’d want to pack a lunch or dinner and enjoy some sake with it but there’s no need to stand on ceremony. The point is to create a “be here now” moment and to celebrate the beauty of these trees. I’m stuck on cherry blossoms these days. Every year I eagerly await their arrival and go out of my to way to walk down blocks where I know they’re blooming. Last Sunday’s New York Times travel section featured articles on walking. Did you happen to read it? The main feature highlighted strolls through some of Europe’s best cities: London, Tuscany, Istanbul, Madrid, Paris, Prague, Scotland, Berlin and Switzerland. What does this have to do with cherry blossoms? Well, after reading about these walks, it got me itching to go somewhere. I couldn’t exactly hop a flight but I already live in a great walking city, so I put on my comfy shoes, grabbed my camera, and set out for a ramble to the Brooklyn Botanic Garden where cherry blossoms are the star attraction right now. These trees are common throughout Brooklyn neighborhoods and while their season is spectacular, it’s short-lived so I got a move on. With pale seashell colored blooms that burst from dark pink buds to wedding white flowers, to others that pop double-blossoms of magenta, my plan was to overdose on these beauties. There are lots of tourists here today and I realize, oddly enough, that they’ve probably built this “walk” into their travel itineraries. On weekends, people from diverse cultures arrive like lemmings to the Brooklyn Botanic Garden and in a span of 10 seconds you could easily eavesdrop on five different languages. Young couples with their in-laws, families out to enjoy a perfect Spring day after what seemed like a never-ending winter, parents with newborns, or friends with out-of-town visitors. Wherever they’re from, everyone seems to delight in their appreciation of cherry blossoms. This garden has 27 varieties and I’d be hard-pressed to tell you which type is my favorite. I just take my time and soak up the good vibrations they seem to generate. This place will really be packed this weekend when Sakura Matsuri, the Cherry Blossom Festival, celebrates traditional and contemporary Japanese culture. As much as I’d love to travel to Japan to see these trees, the inspiration to stroll in my own city has satisfied me. On the walk back, cherry blossom petals fall like snow in the front yards of private homes and along the sidewalks. Two trees on my block have plump pink buds just beginning to flower. I’ll revisit the Brooklyn Botanic Garden on a weekday, when it’s more quiet, and enjoy my own hanami . Right now, I’m quite content to appreciate their beauty from my stoop, in my own neck of the woods. If you don’t have the time or money for a trip right now, take a stroll and see what’s blooming in your town. Some of the most interesting and enjoyable pleasures might just be a short walk from home. Enjoy! This entry was posted in Claudia's Trips, Uncategorized and tagged Brooklyn Botanic Garden, Cherry blossoms, Hanami, New York Times, picnic, sake, Travel, walking on April 25, 2013 by portsarecalling. What was the first book you read as a kid? I don’t mean the first book your mom or dad read to you but the first book that you read. You know, the first one that you actually enjoyed because something about it clicked for you. The one that did it for me was The Outsiders by S.E. Hinton. I think most kids read this book but in case you didn’t, it’s a coming of age story about two teenage rival gangs from opposite sides of the tracks. The book is loaded with emotion and it was easy to identify with the characters. I savored every page and didn’t want it to end. The bonus was finding out that S.E. Hinton was a woman—actually she was a teenager when she wrote the novel—and the story’s narrator is a boy. In fact, the majority of characters are boys. That pretty much blew me away. It was my first real understanding about a writer’s voice and style. It also led to a greater understanding that to write, you need to read. Do you like to read? I hope so because reading is probably one of the most important things that will contribute to being a writer—and a good one. The two pretty much go hand-in-hand. I’m not talking about just reading travel writing. I’m talking fiction, non-fiction, newspapers, and print or digital magazines. If you drive to work, audiobooks make it easy to plow through books. They also make great cooking and workout companions. The reason I’m asking is because no matter what it is that you read, you’re learning. Whether you realize it or not, you’re learning the art of writing in its many forms and styles—good and bad. Much like some people have an ear for music, reading helps to develop an inner ear for writing. If you find that you pretty much read the same type of literature, step out of that comfort zone and explore other genres. See what’s out there. Many times, what you may be reading at a certain point in time can trigger an idea for a story. I’m not an architect, financial analyst or a man, but when I’m in a doctor’s office waiting room, I flip through the magazines geared towards those subjects to check out what’s happening. I usually come away having learned a few new things and, oftentimes, an inspired thought for something I’d like to write. The beauty of reading is that you can do it anywhere, and e-book readers, audiobooks and laptops make it easier than ever to access information. These days, there’s almost no excuse not to read. Much like the handy notebook to jot down your ideas and observations, it’s always good to have a book or other type of reading material with you. Maybe you already do. A Kindle is great but, like smartphones, they’ll eventually run out of juice. 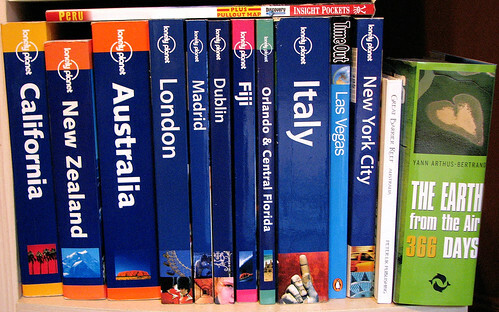 Like the notebook and pencil, books are loyal travel companions wherever you may be. I recently spent two hours in line at immigration at JFK airport. Every once in a while when I looked up from my book, I heard people moaning and groaning about the wait. If I hadn’t had my book, I’d have been flipping out right along with them. Similar to travel writers whose columns you admire, you may have already adopted a certain style of writing cultivated from your favorite authors. That’s a good thing, because it may have already contributed to helping you define your writing style. If you don’t read a lot then you may want to pay a visit to your local library where you can easily borrow all types of materials, including audiobooks. It also happens to be Celebrate National Library Week, another good reason to visit. Oddly enough, today marks the launch of the Digital Public Library of America which makes books, images, historical records, and audiovisual materials available to anyone with Internet access. If you prefer to buy your own, there’s no need to spend tons of money when there’s plenty of used books stores around—you can even get them on Amazon.com. 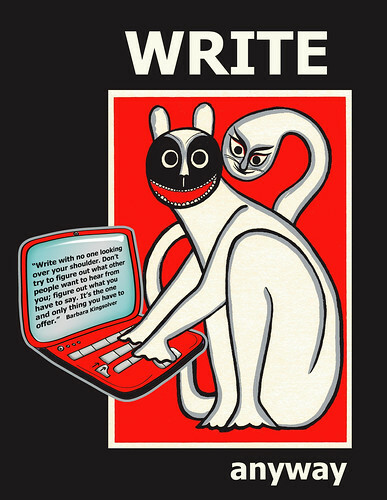 I don’t want to burst your bubble, but it’s kind of a cardinal rule to writing. If you want to write—and write well—you’ve got to read…a lot. Stephen Kings says, “The real importance of reading is that it creates an ease and intimacy with the process of writing; one comes to the country of the writer with one’s papers and identification pretty much in order.” As far as I’m concerned, that pretty much sums it up. Right now I’ve got the current issue of Outside magazine in my handbag and can’t wait to tear into it. The Liar’s Club by Mary Karr is on my nightstand. What are you reading or listening to these days? I’d really like to know. 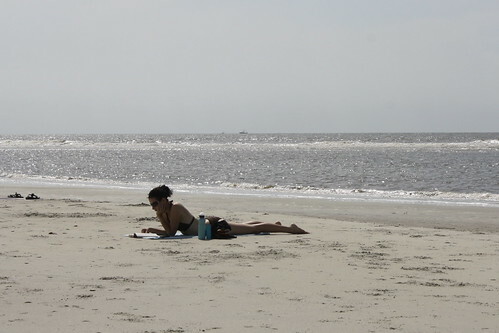 This entry was posted in Travel Agents and tagged Arts, audio books, books, Celebrate National Library Week, Digital Public Library of America, Dr. Seuss, Kindle, Mary Karr, Outside, Reading, S.E. Hinton, Stephen King, The Liar's Club, The Outsiders, travel writing, Writers Resources, Writing style on April 18, 2013 by portsarecalling. 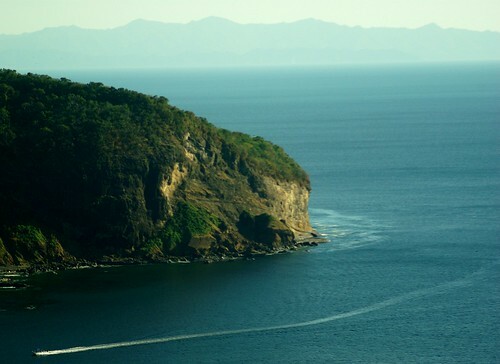 The Pacific coastline region of Nicaragua around San Juan del Sur seems to be on every list of best places to go in 2013. Recently, I had the chance to visit and found a destination whose chill-out factor suited me just fine. I wasn’t sure what to expect from a country listed as the second poorest in the Western hemisphere, but I was pleasantly surprised. Nicaraguans are friendly, hospitable and mellow, and while their country may have attracted unwanted attention in the 1980s during the Iran-Contra affair, it’s now being noticed for all of the right reasons. As one of the few places left to visit that won’t break your bank account, it’s easy to see why so many Americans and Canadians retire here. San Juan del Sur is a tranquil fishing village that surrounds a crescent-shaped stretch of beach dotted with small bars and cafes. The town is simple to navigate and offers lots of options for eating, drinking and booking activities. Taxis are plentiful, making it easy to check out the other lovely and uncrowded beaches up and down the coast. But if you’re looking for a bit more than soaking up the sun, here are some ideas to help plan your trip. Surfers helped put this area on the map and this town’s been operating as a hub for them ever since. If you’re not ready to plant your feet on a board just yet, pitch a blanket and watch the experts. Otherwise, no matter your age, you won’t be at a loss to find a surf camp that’ll suit you up. Ladies, for the adventurer in you, check out CHICABRAVA—an all girls surf camp whose motto is – Get Stoked…In Style! Founded in 2003 by 6-time Nicaraguan National surf champ, Ashley Blaylock, this retreat style camp will both challenge and pamper you. 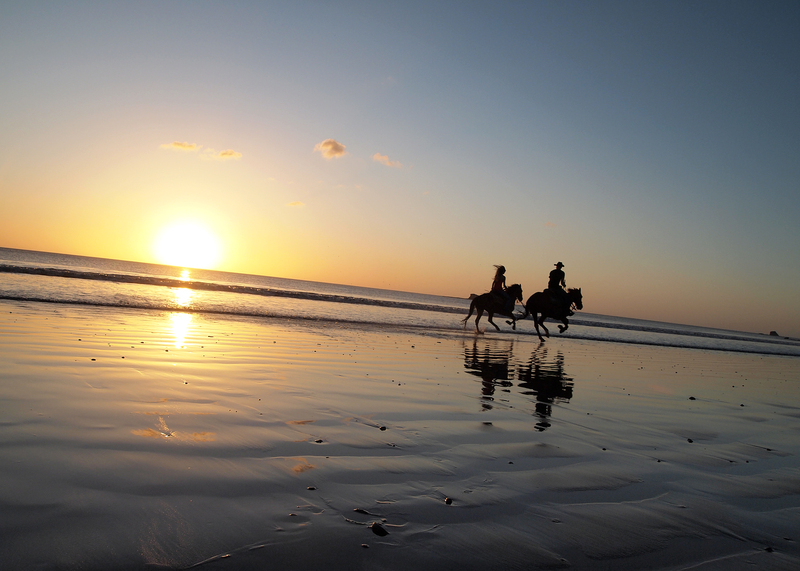 There are a handful of outfits around San Juan del Sur that run horseback tours for much less than what it costs to ride in the U.S. Rancho Chilamate, an eco-friendly ranch owned and operated by an ex-pat Canadian couple, guide half-day tours at sunrise or sunset, depending on the tides. They’ll suit and saddle you up, and include a photography tour of your ride. In addition, a portion of the ride revenue goes back to the local community to help with healthcare and education costs, as well as other types of assistance projects. If you’re looking to immerse yourself in the culture and improve your high-school Spanish, then consider adding some lessons to your itinerary. There are several language schools in and around San Juan del Sur that can easily fit into your budget, and your new skills will have you chatting with the locals in no time! When you start your morning doing sun salutations on the beach, the day only continues to get better. From teacher-training camps to retreats to community classes, there are several top-notch yoga schools and studios to help you “be here now.” Several of the surf camps also offer yoga. Pizza is definitely on my desert island list of foods and as a Brooklynite, I think I can vouch for the good stuff. Munchies Blues Cafe is a Monday night, reservation-only experience in the jungle out by Playa Marsella. They serve Roman-style pizza that rivals some of the best stuff in my own neighborhood. This list barely scratches the surface of activities you can enjoy in Nicaragua. Tourism is rising but there’s still time to enjoy its simple pleasures. With a landscape made of volcanoes, jungles, lakes, lagoons, rivers, beaches and lush rainforests, this country seems to offer something for everyone. So the next time you’re wondering where you should go, think about discovering the beauty, tranquility and people of Nicaragua. 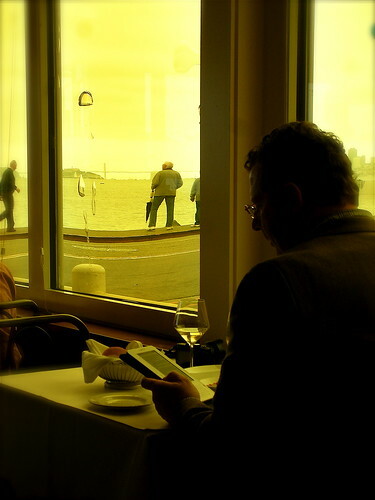 This entry was posted in Claudia's Trips, Uncategorized and tagged American, Canadian, CHICABRAVA, horseback riding, horses, Iran–Contra affair, jungle, Managua, Munchies Blues, Nicaragua, Nicaraguan, Nicaraguans, Pacific, Pacific Coastline, pizza, Rancho Chilamate, retire, San Juan, San Juan del Sur, spanish lessons, Surf, surf camps, surfing, United States, Western Hemisphere, yoga, yoga school, yoga studios on April 11, 2013 by portsarecalling. Make A Date With Your Writing Mojo. One of the challenges when it comes to writing is finding time to actually write. If you’re like me, or the rest of society these days, your life is broken down into chunks of time that we sync up to like robots. Depending on your lifestyle these activities will vary but here’s a list where most of us probably share some crossover. Things like—walk the dog, feed the cats, have breakfast, get your kids to school, surf the web, get to work, surf the web, do your job, eat lunch, surf the web, do your job, surf the web, travel home, make dinner, surf the web, go to the gym, practice yoga, go to school, veg on the couch, watch mindless television. I’m exhausted just going through that list but you get the idea. Finding your writing voice is a beautiful thing but finding the time to write so you can discover it is a whole different story. You know you have it in you but some bizarre quirk keeps you from making time to do it. To add to that, since you’ll be writing about your travel experiences you’ll need to have them fresh in your mind. But what if the last trip you took was a few months ago? Unless you have an amazing sense of recall, or have kept a trusty journal, this could get tricky. What excites you about the countries you love? What foods have you tasted in your travels that make you wish you lived there? 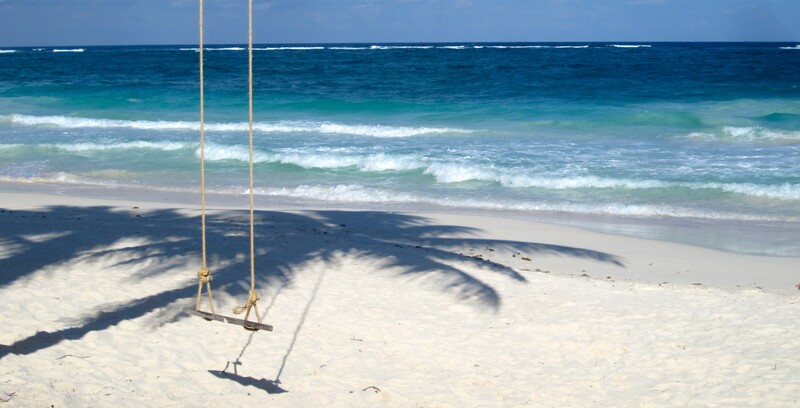 What intangible bond connects you to a destination so much that you want all your friends, family and customers to experience it? Let’s make it easy. To find your voice you have to write. To develop your style you need to write. To recount the details and descriptions of a trip, you’ll need to write. Take a look at your day. Where can you fit in writing? This isn’t meant to be a complicated question but I’ll bet there are things that take up space in your day that can easily take a back seat so you can get writing. Identifying where in your day you’ll commit to writing will be different for everyone. For me, it’s usually first thing in the morning. Right now I’m sitting at my table with a glorious bunch of daffodils in my face, listening to sparrows chirp on my fire escape. Observations and ideas also come to me when I ride the iron worm—aka the NYC Subway system—and I jot them down. Planes and trains are perfect opportunities to gather the details and descriptions you’ve noted along a journey and start playing around with ideas. Sometimes we need a kick in the pants to get started. If you need that kind of inspiration then check out Do the Work by Steven Pressfield. It’s a short, quick read and Steve’s got a great voice. Reading his stuff is kind of like hanging with a friend but the kind of friend who calls you on your stuff and won’t let you hide behind your wall of resistance. After reading it, finding the time to write might get easier. Whether you do it at sunrise or sunset, over your morning coffee or sitting in the park eating lunch, identify a particular time to write and do your best to stick with it. Maybe commit to 15 or 30 minutes to start. If you keep an appointment calendar then schedule that portion of time into it. It doesn’t matter when it is so long as you find the time. Like all of the other stuff we do, it’ll become a habit—and a good one. None of us do things unless we want to – and want is the operative word here. So if you want to write, then it’s time to get busy. Make no excuses and take no prisoners. Punch insecurity in the face and shove your resistance aside. The information and experiences you possess about your travels is valuable. It’s time to get your writing mojo going. Have fun with it and let me know how you make out. This entry was posted in Travel Agents and tagged NYC Subway, Planes, Steven Pressfield, Trains, Travel, Travel Agents, travel writing, Travelogues, Trips, Writer's Voice, Writers Resources, Writing on April 3, 2013 by portsarecalling.